This is really, really cute! Another amazing photoless page! Great quote and beautifully scraped! This is so sweet, Sarah!! I love your clustering behind the card! What an amazing photoless page. Love your cluster work - perfect as always and love the Disney castle tucked in behind the journal card. Great page!! 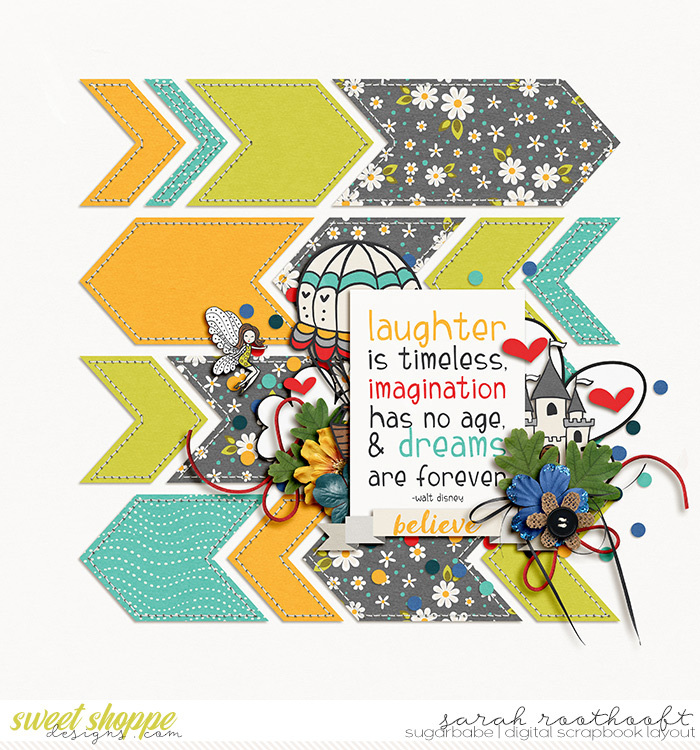 Those bold patterns and chevrons really take your page to a new level, Sarah! Love how you used this kit. love the stitched down arrows pointing in different directions!! Such movement you've created on this page! Love all the stitched pieces. That is an awesome way to display that card!